In 2011, it was the hunter. 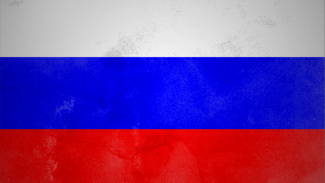 At this year's World Junior Championship, Russia becomes the hunted. The Russian Hockey Federation would like nothing more than to defend the gold medal it captured last year in Buffalo, proving last year's come-from-behind victory against Canada was no fluke. After garnering its first gold medal in eight years, the Russians will get the opportunity to start their defense on Boxing Day in Calgary when it opens this year's tournament against Switzerland in Group A. Before it is able think about gold, Russia will have to escape Group A. That includes facing a Swedish club looking to avenge its fourth-place finish last year. Last year marked the first time in four years Sweden left the World Junior Championship empty handed, compiling two silvers and a bronze during that span. Both teams will be met with competition from Switzerland, Slovakia and Latvia. Last year -- In stunning fashion, the Russians overcame a 3-0 deficit in the third period against Canada to capture their first gold medal at the World Juniors since 2003. NHL prospects -- Washington Capitals prospect Yevgeni Kuznetsov is the only returning member of Russia's golden entry. Joining Kuznetsov in his quest to repeat is Vladislav Namestnikov, who was selected in the first round of the 2011 Draft by the Tampa Bay Lightning. 2012 Entry Draft watch -- The Russians boast an explosion of draft-eligible talent, including Nail Yakupov of the Sarnia Sting and the Quebec Remparts' Mikhail Grigorenko, both contenders to be first pick at the 2012 NHL Entry Draft this June. Schedule -- Dec. 26, Switzerland, 10 p.m. ET; Dec. 28, Slovakia, 10 p.m. ET; Dec. 29, Latvia, 10 p.m. ET; Dec. 31, Sweden, 10 p.m. ET. Vickers prediction -- Though they're competing with a completely renovated roster at the tournament, the dangerously explosive Russians will be led by Kuznetsov, the sole returnee from last year's gold-medal performance, to Russia's first repeat performance since the 2002 and 2003 World Juniors. Morreale prediction -- The defending champion looks to win back-to-back gold medals for the first time since 2002-03. The odds of that happening are pretty good too, with the return of forward Kuznetsov, and inclusion of newcomers Yakupov and Grigorenko. The only concern here is the commitment to the defensive end. The only team standing in its way in Group A is Sweden -- expect a fourth-place showing. Last year -- For the first time in four years, the Swedish Ice Hockey Association left the World Junior Championship without a medal, dropping the bronze medal game 4-2 to the United States. NHL prospects -- While led up front by Mika Zibanejad, who played nine games with the Ottawa Senators this season before returning to Stockholm, the Swedes will count heavily on defensemen Oscar Klefbom (Edmonton) and Jonas Brodin (Minnesota), both selected in the first round of the 2011 NHL Entry Draft. 2012 Entry Draft watch -- Sweden is blessed with plenty of draft-eligible talent in the form of Leksand center Filip Forsberg, Frolunda forward Sebastian Collberg and Djurgarden forward Pontus Aberg. Schedule -- Dec. 26, Latvia, 5:30 p.m. ET; Dec. 28, Switzerland, 5:30 p.m. ET; Dec. 30, Slovakia, 5:30 p.m. ET, Dec. 31, Russia, 10 p.m. ET. Vickers prediction -- Though better than its finish would indicate, Sweden will not play for a medal in 2012. Despite bringing back five players from last year's team and boasting several first-round draft picks, the Swedes will struggle with chemistry in what will be looked at as a rebuilding year for the country. Morreale prediction -- Can one of the more talented rosters assembled at this year's WJC rebound from last year's disappointing fourth-place finish? 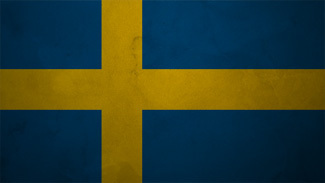 Look for Sweden to earn a bye into the semifinal round before earning a bronze medal. Last year -- With the emergence of Inti Pestoni and riding the hot play of forward Nino Niederreiter and goaltender Benjamin Conz, the Swiss were one win away from medal contention, settling for fifth place. NHL prospects -- Though he is still eligible, New York Islanders forward Nino Niederreiter will not be released to play in the tournament. In Niederreiter's absence, Switzerland will rely heavily on Calgary Flames first rounder Sven Barstchi and Gregory Hofmann, a third-round pick of the Carolina Hurricanes. 2012 Entry Draft watch -- Though the talent pool coming out of Switzerland is thinner in 2012 than it has been in recent years, forward Christoph Bertschy will attract plenty of draft interest. Schedule -- Dec. 26, Russia, 10 p.m. ET; Dec. 28, Sweden, 5:30 p.m. ET; Dec. 30, Latvia, 10 p.m. ET; Dec. 31, Slovakia, 6 p.m. ET. Vickers prediction -- Despite the best efforts of Swiss sensation Sven Bartschi, Switzerland will struggle to earn its way back into the medal round for the first time since 2010. Though its offense will be plenty powerful, Switzerland will have problems keeping the puck out of its net without standout goaltender Benjamin Conz, who is too old to play in the tournament. Morreale prediction -- A third-place finish in Group A is the likely scenario. While Niederreiter will not be made available after suffering a concussion on Dec. 3, follow countryman Bartschi should pick up the offensive slack. 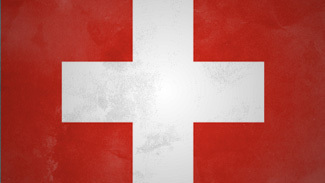 Look for the Swiss to place sixth. Last year -- With a valiant effort from top point-getter Richard Panik, Slovakia narrowly avoided relegation by finishing eighth. It was the second consecutive eighth-place finish for Slovakia, who has not earned a medal at the tournament since winning bronze in 1999. NHL prospects -- The Slovaks will be led by Detroit Red Wings prospect Tomas Jurco of the defending Memorial Cup champion Saint John Sea Dogs. Jurco is joined by Edmonton Oilers prospect Martin Marincin, making his third appearance at the World Juniors after debuting as a 16-year-old in 2010. 2012 Entry Draft watch -- Defenseman Patrik Luza, Slovakia's top skater according to Central Scouting, will have the opportunity to open eyes on a larger stage while goaltender Dominik Riecicky, who was solid in the tournament last year, has the opportunity to take the starting job for Slovakia. He'll battle Richard Sabol, the top-ranked Slovakian goalie eligible for the draft. Schedule -- Dec. 27, Latvia, 10 p.m. ET; Dec. 28, Russia, 10 p.m. ET; Dec. 30, Sweden, 5:30 p.m. ET; Dec. 31, Switzerland, 6 p.m. ET. Vickers prediction -- After back-to-back eight-place finishes, Slovakia is looking to improve on that spot. This will not be the year for Slovakia, which has not earned a medal since 1999. Returning forward Tomas Jurco will shine, but his individual effort will not be enough to claw Slovakia into medal contention. Morreale prediction -- While the club does possess some offensive firepower in Jurco and Tvrdon up front and Marincin and Peter Ceresnak along the blue line, look for an eighth-place finish in 2012. 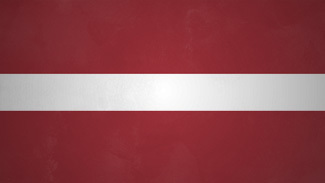 Last year -- Relegated to Division I after finishing ninth at the 2010 WJC, Latvia won its way back into the main group in convincing fashion, earning its place in this year's World Junior Championship. NHL prospects -- Latvia has but one drafted player on its roster in Edmonton Oilers prospect Kristians Pelss, who is one of five returning players from the gold-medal finish in last year's WJC Division I Group A. 2012 Entry Draft watch -- Zemgus Girgensons, who will undoubtedly lead Latvia in their quest to avoid another relegation in 2012, is expected by many to be the first player selected out of the USHL at the draft. Schedule -- Dec. 26, Sweden, 5:30 p.m. ET; Dec. 27, Slovakia, 10 p.m. ET, Dec. 29, Russia, 10 p.m. ET; Dec. 30, Switzerland, 10 p.m. ET. Vickers prediction -- Though they'll become the darlings of the tournament after pushing several teams in Group A to their limit, Girgensons and the Latvians will unfortunately be relegated to Division I.
Morreale prediction -- The country has traditionally worked hard in the WJC despite a lack in top-name talent. Girgensons, eligible for the 2012 Draft, and Edmonton Oilers prospect Pelss are the top players to watch. Expect a ninth-place finish.